Is purchasing a spray tanning system a good choice for a tanning bed salon? The answer is yes, yes and yes... particularly if the Salon Tan M-Model 2150 Spray Tan System from Fuji Spray and Family Leisure is your choice. First, this spray tanning system comes with free shipping nationwide, saving your business cash. Second, it's made for commericial use, with an insulated handle that will never get hot and stainless steel compenents that will last for years to come. Make this purchase return the investment and not become a money pit! Third, this system features the best technology when it comes to spray tanning. The two-stage motor automatically sets the speed, so no goofy and awkward adjustments while tanning your customers. We promise this Fuji Spray system will transform any business! 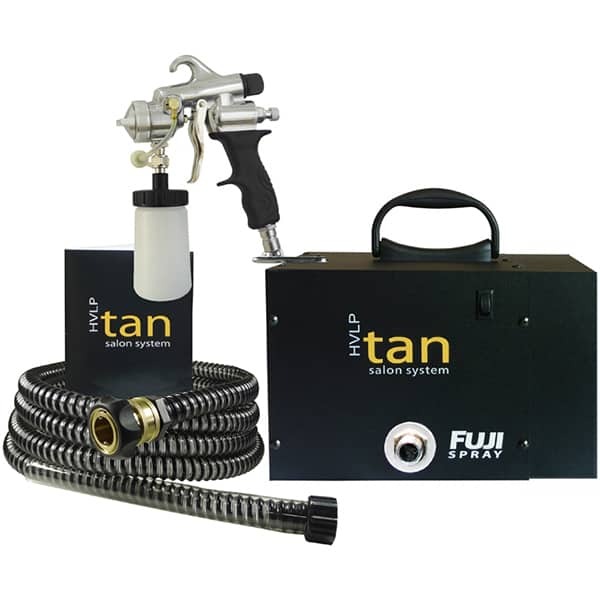 Offer your customers the full range of choices with the Salon Tan M-Model 2150 Spray Tan System from Fuji Spray and Family Leisure!